There will be two kind of surprises when you see FC Barcelona in 2nd position. One chain of thoughts would be “What? Messi and Suarez and still they are second? !” And the other would be “What? Players from Valverde’s team are in the 2nd spot? !” Whichever you might be, the one thing that you got to understand is, this is Lionel Messi we are discussing. There is nothing that Messi cannot do. He has singlehandedly dragged the Barcelona front three into the second spot. The numbers are outrageous, Lionel Messi has scored 29 goals in 26 games. Add to that the 12 assists and it almost feels like Messi is three players in one. He scores the goals of two world class strikers and creates the number and quality of chances Kaka and Iniesta combined together created. Alongside him is a striker who understand shim so very well. 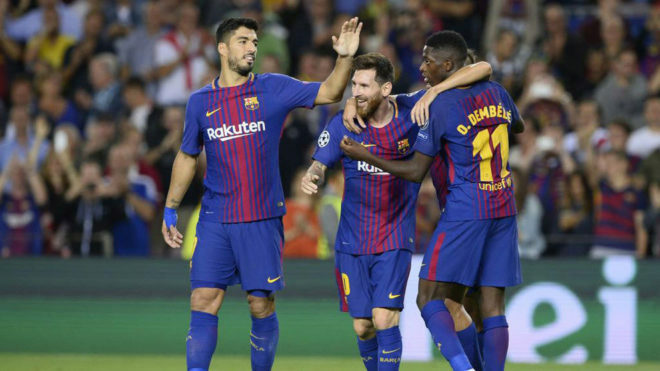 Luis Suarez has improved his passing ability and vision leaps and bounds thanks to his association with Messi. Meanwhile, Ousmane Dembele has been turning up with the big performances this season. After an unlucky injury last season and an indifferent start to this season, Dembele has comfortably fought off competition from Philippe Coutinho and Malcolm to make the right wing his own. HIs partnership up top with both Suarez and Messi is a promising development, and if a certain Quique Setian turns up at the Camp Nou next season, a move further up this ranking is a big possibility. 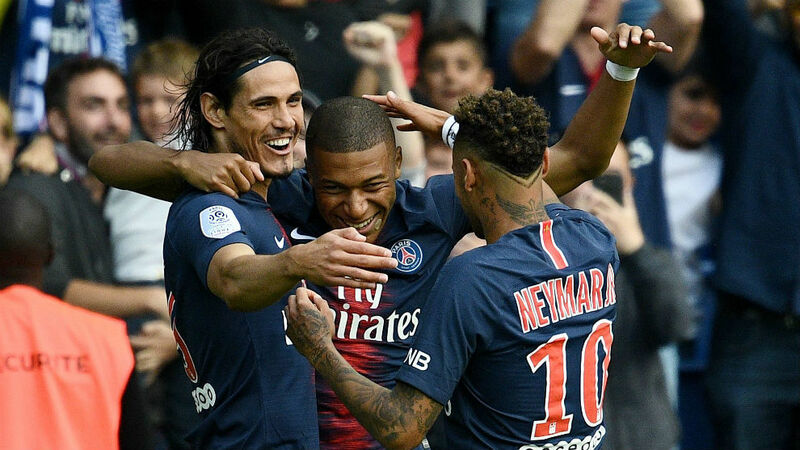 Was there any doubt that the PSG trio would be dethroned? Eintracht Frankfurt, the surprise package of the list, did a very good job to give some competition while FC Barcelona ran them the closest, but ultimately, the costliest trio in world football are delivering the goods. The stats are so impressive that even Barcelona are sweating to come close to their numbers. Neymar started the season with the World Cup exhaustion clearly visible. It was the first champions league game against Liverpool that really woke up the beast in him. Before that game, he was cruising comfortably with the Ligue 1 not posing a lot of threat. Then he visited the Anfield, was constantly fouled and harassed and ended up going down 3-2. The amount of money invested in him just to win the Champions League started weighing on him now. He took the game by the scruff of the neck and showed his real quality ever since that defeat. He stopped whining about the constant fouls and physical play and instead started taking the tackles on the chin, getting up and getting on with it. He stopped rolling around, developed a sweet partnership with kylian Mbappe and patched up his relationship with Edinson Cavani. The rewards are there for everyone to witness. Since the Brazilian superstar has found a new gear, he has made everyone around him kick it up a notch. Edinson Cavani has banged in 22 goals while Kylian Mbappe has also scored the same number. Neymar, meanwhile, has scored 20 goals in 19 games before his unfortunate metatarsal injury. Neymar was in electric form and was combining brilliantly with Edinson Cavani and Kylian Mbappe, blowing teams away and were making Man Utd look like Crystal Palace. It will be interesting to see if Thomas Tuchel helps the superstars breach the 100 goal mark because it will surely come with big successes and possibly the Champions League dream. What did you think about our list? Do you think we missed out on a trio who are not supported by stats but still deserve a place in the top 10? Reach out to us at blog@indifoot.com or download the indifoot app. You can also reach us on instagram, facebook and twitter.